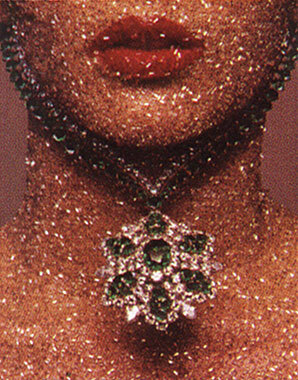 Guy Bourdin made women sparkle. Eleven more days. I tell myself this over a sip of English tea, as I mentally and physically prepare for another jam-packed day in the retail marathon to Christmas. It goes without saying this is our most hectic time of the year. But I will say it any way. So, Dear Reader, another day, another gift to be selected and wrapped for the kind folks who shop our business and another photographer to chase down as I juggle layout for Dita‘s book! And I will be doing it all with a generous swipe of red lipstick—a quick fix to make even the most tuckered gal feel new again. Or at least look it.